Nice and perfect for lazy days. Looks yummy dear. Very nice clicks! Quick and filling breakfast..my daughters favourite. 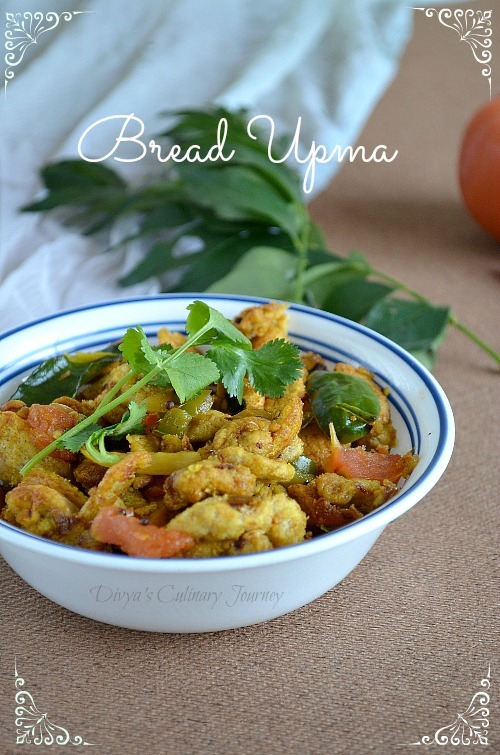 Bread upma looks tempting... Divya. i prepare the same way,love to have with tea. 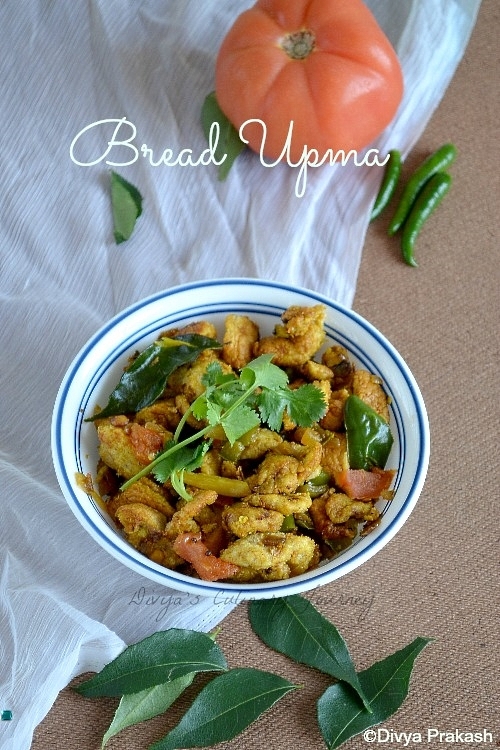 Quick,delicious and my kind of food,very tempting upma. Beautiful clicks and quick and yummy snack. is that tomato divya.. looks beautiful.. i always add egg with bread.. my fav breakfast..
That's why I love Indian breakfasts, you can create several savory dishes in no time. This is a wonderful use of stale bread. Is chana dal suppose to be uncooked? Yes Purnima. 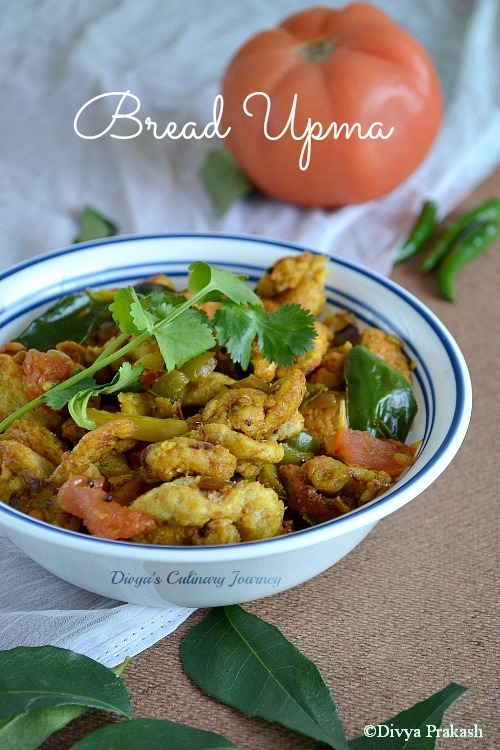 Use uncooked chana dal. Heat oil, add mustard seeds then add a tablespoon of uncooked chana dhal fry and then continue the rest of the process as mentioned.